There are no Safari Tier 1 (Premier Experience) accommodations currently present in Lake Elementaita. The Lake Elementaita Safari Tier 2 (Deluxe Experience) rooming & safari activity rate in Kenya starts from US $600 to US $850 per person/night sharing on average with the very few topping to around $1000 a night for a highly discerning, authentic and private experience. The cost is generally all inclusive of rooming, meals, drinks where included, park fees, guided safari activities e.g. 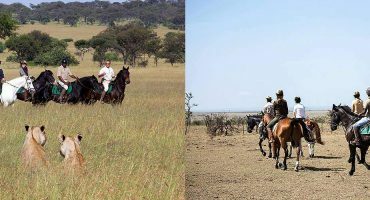 game drives and Kenya hotel taxes (VAT) and service charges. The Lake Elementaita Safari Tier 3 (Value Experience) rooming & safari activity rate in Kenya starts from US $450 to US $600 per person/night sharing on average with the very few topping to around $750 a night for an upgraded rooming and private safari experience. The cost is generally all inclusive of rooming, meals, park fees, guided safari activities e.g. game drives and Kenya hotel taxes (VAT) and service charges. 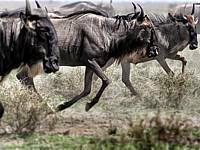 - The above Lake Elementaita pricing is a guide only to your specific Safari Tier accommodation choice in Kenya. Single room supplements are extra. Children under 12 years have a further discounted rate. All accommodation rooming prices are subject to availability and seasonally variant dependent on the month of travel. - AfricanMecca Safaris itineraries are expertly designed to handpick and recommend tour experiences that deliver discounted or contracted tour operator/travel trade industry rates and pricing. 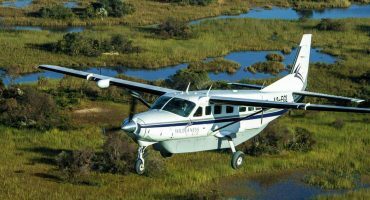 These rates are lower than those offered to first time or repeat travelers, or direct inquiry pricing by the camp or lodge suppliers. 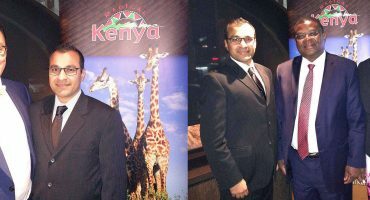 - Our guests benefit from the total sum of the whole tour that includes best pricing for the level of tour services, excellent communication with your dedicated safari expert, knowledgeable/experienced planning services, tour customizations, jig-saw fit flexibility for travel in Africa, top notch guided safari experience and more importantly superlative customer care and service before, during and after your safari, tour and travels in Kenya. Whether you prefer a colonial-style camp or an intimate lodge, the accommodations at Lake Elementaita are perfectly suited for all. The main options are Elmenteita Serena, Sleeping Warrior and Sunbird Lodge. Most of Lake Elementaita is part of the Soysambu Conservancy where you have access to varied activities, such as game drives, bush walks, day trips to surrounding attractions, crater hikes and more. Elementaita is a wondrous wilderness to visit anytime during the year, but we recommend visitng during the dry season. Wildlife viewing is better, and you get to see a variety of species in a small area. When visiting Lake Elementaita, we recommend combining your safari with a visit to Amboseli and Masai Mara. 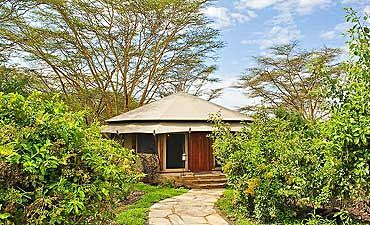 You may optionally extend out to other wilderness areas of Tsavo, Samburu or Lewa - Laikipia ending with a beach vacation and Swahili cultural tour in the exotic spice island of Zanzibar or Lamu, or even Mombasa. 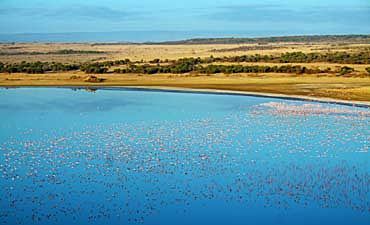 ARE YOU PLANNING AN AFRICAN SAFARI TO LAKE ELEMENTAITA IN KENYA? 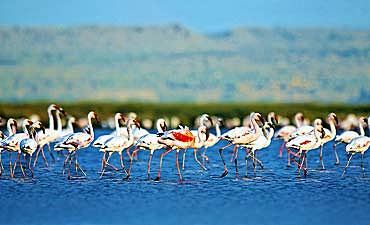 HAVE YOU VISITED LAKE ELEMENTAITA FOR AN AFRICA SAFARI IN KENYA?